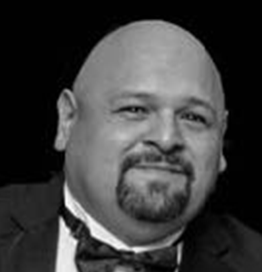 David Soto brings over 20 years of technical and information security management experience to his current role as an executive director, executive advisory in the Office of the CISO at Optiv. Soto utilizes his past and present experiences to assist executives in aligning their cyber security roadmaps to the business. Using his information security expertise, Soto assists organizations in moving from a tactical to a strategic approach, tackling issues such as incident management, vulnerability management, security operations and application security. As a subject matter expert in cyber security solutions and information security programs, Soto’s broad technical and business process knowledge spans multiple disciplines including change management, IT service continuity management, capacity management, availability management, defense in depth, and policy and standard development. Prior to Optiv, Soto architected, managed and implemented information security programs at Pacific Life and Infonet and served as a consultant at SSN. His expertise includes ISO27001, SOX and HIPAA. Soto has held many industry certifications including but not limited to ITIL, Check Point Certified Security Expert (CCSE), Certification in Control Self-Assessment (CCSA), HP-UX, Global Information Assurance Certification (GIAC) Certified Forensic Analyst (GCFA) and Certified Ethical Hacker (CEH).